Below you fill find all funeral homes and cemeteries in or near Charlotte Hall. Suburbs of Charlotte Hall: Charlott Hall. Charlotte Hall is also known as: St. Mary's County / Charlotte Hall CDP. Zip codes in the city: 20622. Saint Marys County funeral flowers can be purchased from one of the local funeral shops we partner with. Some of the notable people born here have been: (norwood sothoron). Charlotte Hall is a census-designated place (CDP) in Charles County and St. Mary's County, Maryland, United States. The population was 1,214 at the 2000 census. The Maryland Veterans Home for disabled veterans, including a U.S. Veterans Affairs clinic, is located on the site of the former Charlotte Hall Military Academy. The Academy site was declared the Charlotte Hall Historic District, and listed on the National Register of Historic Places in 1975. Since 1940, a sizable Amish farming community has existed nearby along with a farmers market and large flea market complex on busy Maryland Route 5, which is also the site of numerous strip-mall businesses continuing into the adjacent community of Mechanicsville. It was written on October 8th, 2015 that James Francis Egart died in Charlotte Hall, Maryland. Egart was 92 years old and was born in Covington, KY. Send flowers to express your sympathy and honor James Francis's life. It was written on May 7th, 2014 that Francis A "Kappie" Kapler passed on in Charlotte Hall, Maryland. Kapler was 94 years old and was born in Cresco, IA. Send flowers to express your sympathy and honor Francis A "Kappie"'s life. It was noted by Cumberland Times-News on May 13th, 2013 that Julian A Wilson died in Charlotte Hall, Maryland. Wilson was 92 years old and was born in Cherry Run, WV. Send flowers to share your condolences and honor Julian A's life. It was noted on April 26th, 2013 that Peter Leget passed away in Charlotte Hall, Maryland. Leget was 83 years old. Send flowers to share your condolences and honor Peter's life. It was written on January 9th, 2013 that William David Sr Adkins passed away in Charlotte Hall, Maryland. Adkins was 74 years old and was born in Middlesboro, KY. Send flowers to share your condolences and honor William David Sr's life. It was noted by Hagerstown Morning on January 3rd, 2013 that William Cullen Barr perished in Charlotte Hall, Maryland. Barr was 93 years old. Send flowers to share your condolences and honor William Cullen's life. It was written by The Capital on July 15th, 2012 that Frank J "92" Abend passed away in Charlotte Hall, Maryland. Send flowers to express your sorrow and honor Frank J "92"'s life. It was reported by The Enterprise on June 27th, 2012 that Alexander Evashko perished in Charlotte Hall, Maryland. Evashko was 92 years old and was born in Springfield, MA. Send flowers to express your sympathy and honor Alexander's life. It was written by Maryland Independent on June 22nd, 2012 that Claude Frankln Clark died in Charlotte Hall, Maryland. Clark was 96 years old and was born in Chattanooga, TN. Send flowers to express your sorrow and honor Claude Frankln's life. It was written by Maryland Independent on June 22nd, 2012 that Albert M Webster perished in Charlotte Hall, Maryland. Webster was 96 years old. Send flowers to express your sorrow and honor Albert M's life. 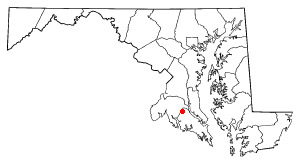 Mary's County, Maryland, United States. Charlotte Hall is a census-designated place (CDP) in St. The Maryland Veterans Home for disabled veterans, including a US Veterans Affairs clinic, is located on the site of the former Charlotte Hall Military Academy. The Academy site was declared the Charlotte Hall Historic District, and listed on the National Register of Historic Places in 1975. A sizable Amish farming community is nearby along with a farmers market and large flea market complex on busy Maryland Route 5, which is also the site of numerous strip-mall businesses continuing into the adjacent community of Mechanicsville, Maryland. The population was 1,214 at the 2000 census. Van Alstine Hall , he graduated in 1950 from Carthage High School. He married Charlotte Staie on Feb. 14 ... and an aunt, Iva Van Allstine, Laurel, Md. A sister, Joan Clark, died before him. The funeral will be 11 am Tuesday at Frederick Bros.
Brinsfield-Echols Funeral Home, Charlotte Hall, MD : Reviews and maps - Yahoo! Local, 301.472.4400. Get Ratings, Reviews, Photos and more on Yahoo! Local. Echols, Gary - Brinsfield-Ecols Funeral Home, Charlotte Hall, MD : Reviews and maps - Yahoo! Local, 301.472.4400. Get Ratings, Reviews, Photos and more on Yahoo! Local. We work with local florists and flower shops to offer same day delivery. You will find budget sympathy flowers in Charlotte Hall here. Our funeral flowers are cheap in price but not in value.